Our refurbished Motorola WT4090 (or Symbol Wt4090) is the next generation of wearable data terminal! With 802.11a/b/g communications, the refurbished Motorola WT4090 is at the top of the industry, continuing Motorola’s excellent data terminal line. Standard features include Windows CE operating system and a standard capacity battery. Contact us today about buying, servicing, renting or selling Motorola WT4090 gear! 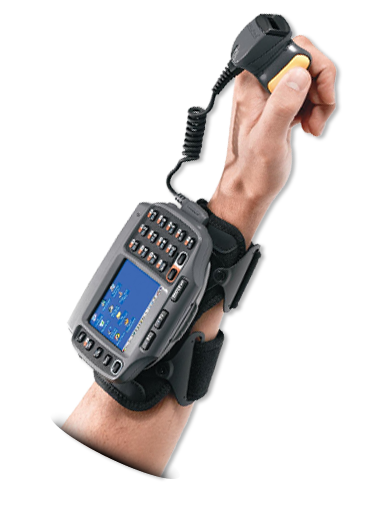 Arm your workers with advanced real-time hands-free mobile computing with the refurbished Motorola WT4000 Wearable Terminal. This rugged device will allow you to achieve maximum error-proof productivity,operational efficiency and accuracy through voice compatibility for streamlined warehouse and package handling functions. Contact us today about buying, servicing, renting or selling Motorola WT4090 gear!